Hello. I&apos;m a comic book maker from a tiny island called Singapore. I also enjoy listening to electronic music from both the past and the present. 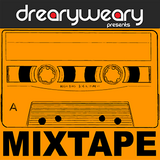 These mixes here are an online archive of the tunes I like in a one-hour continuous mix format.